cookie ball kit Archives - What the Forks for Dinner? 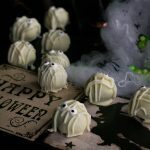 Halloween is next week, and everyone needs to make a special treat to celebrate “All Hallows’ Eve.” Halloween Mummy Cookie Balls are a super quick and easy treat for all your little monsters. The folks at Baker’s have these new cookie ball kits that are the bomb!! 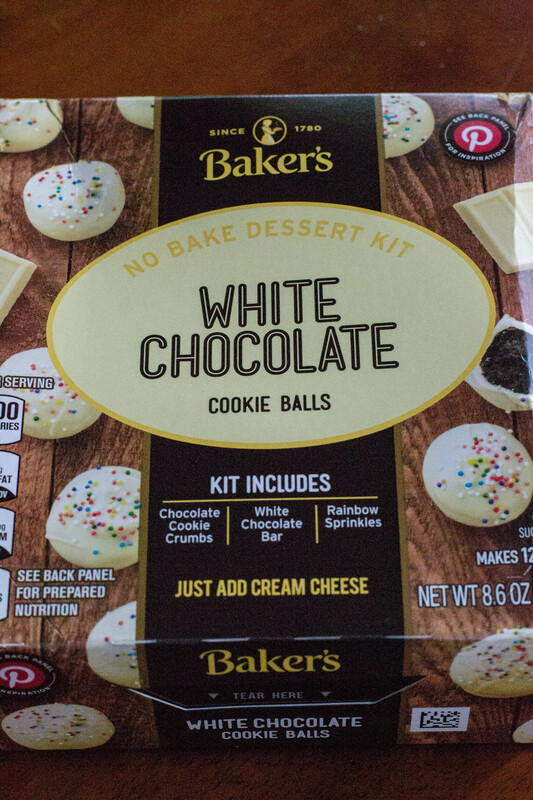 Cookie Ball Kits by BAKER’S Premium Chocolate create deliciously indulgent cookie balls in just 10 minutes without ever turning your oven on! Each kit includes pre-measured cookie crumbs, sprinkles and a bar of BAKER’S Semi-Sweet Chocolate. There are several to chose from, and each has a unique taste and style. I have made two of the flavors and both are terrific! Simply add cream cheese to cookie crumbs, roll into bite-sized balls, dip in melted chocolate. Each kit also comes with sprinkles, but I saved those for another day. I chose the white chocolate kit because……well Mummys are white. I did need to have extra melted white chocolate for the drizzle as the kit has just enough to coat the cookie balls. 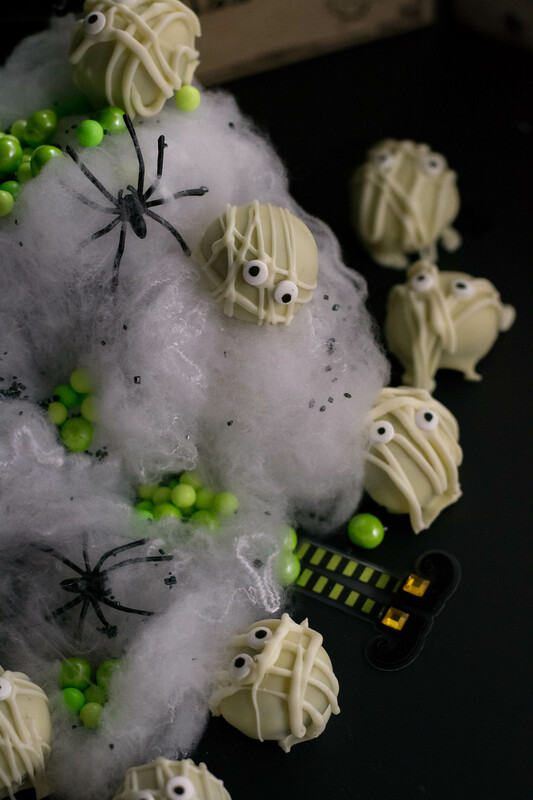 Plus of course googly eyes, no Mummy is complete without them! 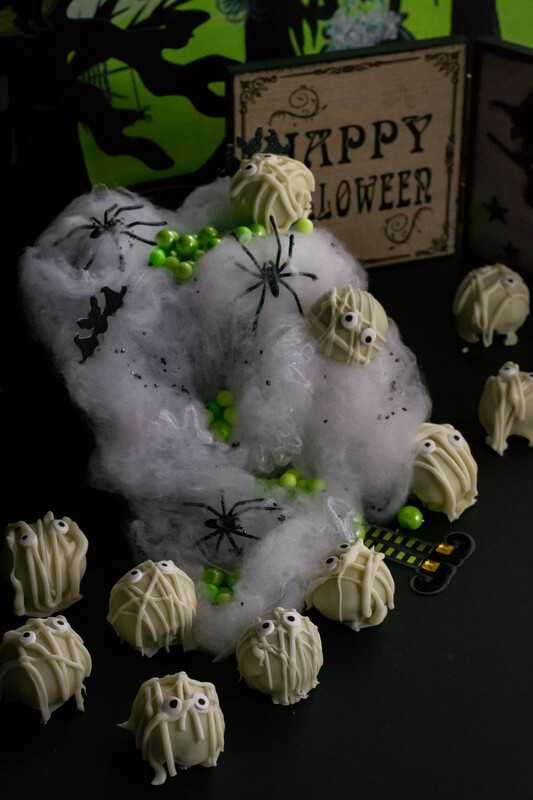 Mummy’s are easy to decorate since there is no rhyme or reason to their raggedy outfits. Make the cookie balls according to the package directions. Melt extra white chocolate to make the Mummy rags. No fancy equipment is needed, just a plastic bag with a corner snipped off. 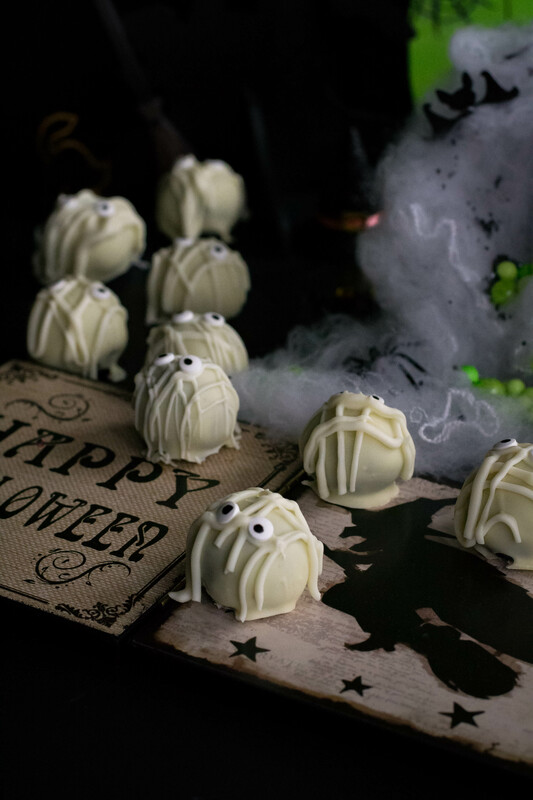 Drizzle the coated cookie balls with the melted chocolate and place the googly eyes on top and you have Halloween Mummy Cookie Balls! Quick, easy and super cute!! Happy Halloween! Make cookie balls according to package directions. After the dipped cookie balls have set up, use the melted chocolate to decorate to look like a mummy. 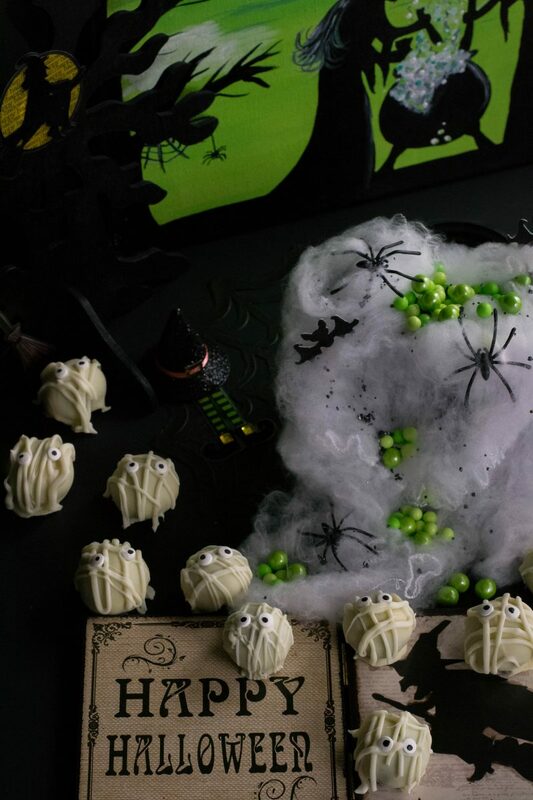 Place googly eyes making sure to place on a spot that has the melted chocolate so they stay in place.